Falling Foss Tea Garden is a small but enchanting tea garden set in the grounds of Midge Hall, a tiny cottage which nestles at the top of the beautiful Falling Foss waterfall. 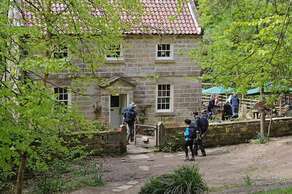 Whether you’re in the midst of the Coast to Coast walk or perhaps just out for a leisurely saunter through the fabulous ancient woodland, Falling Foss Tea Garden is the perfect place to relax and unwind, enjoy a light lunch, a sumptuous cream tea or perhaps just an ice cream. Thanks to the Heritage Lottery Fund and Big Lottery Fund Parks for People Programme the regeneration of Pannett Park is creating a fun, family friendly environment for everybody to enjoy. 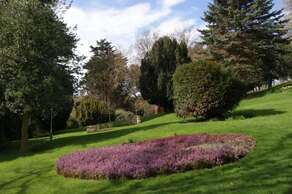 Just a stone's throw from the centre of Whitby, Pannett Park offers a haven of peace and quiet with an exciting new play park for children and beautifully kept gardens, lawns and wooded areas for the whole family to enjoy. 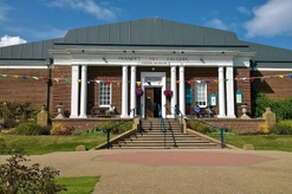 The park is home to Pannett Art Gallery with regularly changing displays, and Whitby Museum which houses a stunning variety of collections and artefacts. Visitors can also enjoy panoramic views of the town and Whitby Abbey from the museum terrace.